5 July 2017 – Yesterday, Members of the European Parliament (MEPs) debated with Christos Stylianides, European Commissioner for Humanitarian Aid and Crisis Management, on the much-criticised election of Saudi Arabia to the United Nations Commission on the Status of Women. MEPs from all political groups strongly condemned this election. Commissioner Stylianides called for the ratification of the Convention on the Elimination of all Forms of Discrimination Against Women by Saudi Arabia. Saudi Arabia is ranked 141 out of 144 countries by the World Economic Forum’s Global Gender Gap. It is the only country in the world where women are barred from driving and its discriminatory male guardianship system requires every women to have a male guardian to make critical decisions on their behalf. Notwithstanding, in a secret ballot on 19 April, the Gulf monarchy was appointed by 47 out of the 54 UN Economic and Social Council nations to a four-year term (2018-2022) to the main United Nations body dedicated to “the promotion of gender equality and the empowerment of women”. One should note that there was no competition and all the 13 candidate countries were elected to the 45-member committee – in such situation, nominees are usually elected by acclamation but the United States asked to put the nominations to vote. 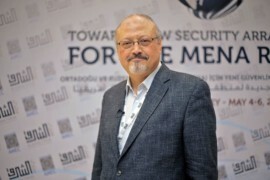 As only seven nations voted against Saudi Arabia, at least three European Union (EU) Member States out of the ten that are members of ECOSOC backed the nomination of the ultra-conservative Islamic kingdom. Belgium Prime Minister publicly acknowledged and apologised for electing the Saudi monarchy to the UN women’s rights body. Unfortunately Belgium’s disclosure of how it voted didn’t much encourage other EU countries to do same. A counsellor to the French Ministry of Foreign Affairs indicated France voted against it. The others (i.e. Czech Republic, Estonia, Germany, Greece, Ireland, Portugal, Spain and the United Kingdom) haven’t commented the election or have refused to disclose how they voted, hiding behind the secret ballot rules. Yesterday, MEPs from the 8 political groups strongly condemned this election. They denounced Saudi gross and systematic discrimination against women both in law and in practice. Some MEPs restated their support to Raif Badawi, the winner of the European Parliament Sakharov Prize 2015, who is currently serving a 10 years sentence for denouncing human rights violations, including discrimination against women, in Saudi Arabia. While some MEPs expressed the hope that the decision could be revoked, MEP Beatriz Becerra Basterrechea noted that a condemnation of the detention of a Saudi women rights activists, such as Lujain Al-Hathloul, would have more weight if it comes from a Commission where Saudi Arabia is seated: the UN Women Commission shouldn’t only be a place that preach to the converted and where barbarians are absent, she added. MEPs asked Christos Stylianides, EU Commissioner for Humanitarian Aid and Crisis Management, for transparency on how EU Member States voted and what was the role of the EU Ambassador to the UN in coordinating their action. Looking at the rationale behind such vote, MEP Lynn Boylan questioned: “What possible justifications could there be for EU Member States to endorse the world leading oppressor of women now as the promoter of gender equality? In one word, trade.” Other MEPs specifically mentioned oils exports and arms trade. Indeed, arms export from the EU to Saudi Arabia has significantly increased over the past decade: with $ 970 million spent on EU arms in 2016, it is the second largest arms importer behind Egypt. Some MEPs further noted that this decision undermines the credibility of international bodies. MEP Julie Ward questioned how EU can effectively strengthen international cooperation to ensure that EU Member States take their responsibility in promoting gender equality abroad. Commissioner Stylianides noted he felt uncomfortable to comment on this election, being himself a strong advocate for gender equality and LGBTI rights. While he didn’t give any explanations on the vote of EU member states, he expressed the hope to turn the new Saudi membership into an opportunity for Saudi women. He welcomed recent modest reforms and stressed that the regime acknowledged that the current system could be an obstacle to reach the Vision 2030 goals. On behalf of the European Commission, Commissioner Stylianides called on Saudi Arabia to ratify the Convention on the Elimination of all Forms of Discrimination Against Women, describing it as “useful first step” “to demonstrate Saudi leadership takes gender equality seriously”. He ensured that EU will continue to assist its Saudi counterparts in working towards gender equality. MEPs stressed that diplomatic statements and marginal changes won’t be enough: EU needs to turn Commission calls into effective action to guaranty women’s rights in Saudi Arabia. On 17 April 2017, King Salman ordered all government agencies to allow women to access any government services without a male guardian’s consent unless existing regulations require it. He enjoined government agencies to provide a list within three months of procedures that require male guardian approval. There are few days left for Saudi officials to seize this opportunity to end all government-enforced male guardianship permission requirements and demonstrate their commitment to the goals of the UN Women Commission.